A MOM'S SOCIAL GROUP FOR MORE THAN 20 YEARS! Lakeside Moms and Tots provides a social outlet for parents, caregivers and children. The group provides an opportunity to meet with other moms to form friendships and to meet playmates for your children. Members of Lakeside Moms & Tots live in the Lake Zurich, Kildeer, Deer Park, Hawthorn Woods, Barrington & Wauconda area. Many have recently moved to the area and are looking to build lasting friendships. Some of our moms are stay at home moms, while others work full or part time. The kids in our group range in age from newborns to grade school. 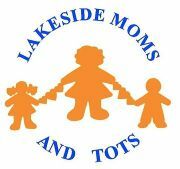 Becoming a member of Lakeside Moms and Tots gives you full access to all our members profiles and calendar of events. Our events vary from playdates hosted at members homes to playdates in the park; days out at the beach/splash parks; museum and library visits; Mom's, Dad's and Couple's nights out; Family dinners; pot luck and craft playdates; Book Club; moms and tots bowling and family bowling; themed parties and much more. Our meetup calendar will inform you of planned activities to assist you in "getting out" into the community and having fun! If you don't see an event/activity that appeals to you let us know. We are always looking for new and fun ideas. 1.) Please click "JOIN". You will be prompted to set up a bio or alternatively if you have any questions please email us at lmt@lakesidemomsandtots.org. 2.) You will then be contacted by the administrator and asked to provide us your email so we can forward you a new member application. Please mail the signed application to Lakeside Moms & Tots, PO Box 717, Lake Zurich, IL 60047 along with a check for $30 made payable to Lakeside Moms and Tots. Once your membership application and dues are received you will be given full access to our meetup site, which includes our activities calendar. You will also be given access to our handbook and directory. Your membership fee not only allows us to manage this group but also host some great parties. In the past 12 months we have hosted an Ice Cream Social, Halloween Party, Winter Craft and Pajama Party and Roller Skating Party all with no extra cost to you. <br> A MOM'S SOCIAL GROUP FOR MORE THAN 20 YEARS! Our group provides a social outlet for parents, caregivers and children. The group provides an opportunity to meet with other moms to form friendships and to meet playmates for your children. Members live in the Lake Zurich, Kildeer, Deer Park, Hawthorn Woods, Barrington & Wauconda area. Many have recently moved to the area and are looking to build lasting friendships. Some of our moms are stay at home moms, while others work full or part time. The kids in our group range in age from newborns to grade school. Our events vary from playdates hosted at members homes to playdates in the park; days out at the beach/splash parks; museum and library visits; Mom's, Dad's and Couple's nights out; Family dinners; pot luck and craft playdates; Book Club; moms and tots bowling and family bowling; themed parties and much more. Our meetup calendar will inform you of planned activities to assist you in "getting out" into the community and having fun! 1.) Please click "JOIN". You will be prompted to set up a bio. Click here for a link to our Meetup About Page.